Transport: Take bus no. 3M, 11 or 23 (near MTR Tung Chung Station Exit B) to Pak Kung Au / Return by taking cable car or bus no. 23 to MTR Tung Chung Station. 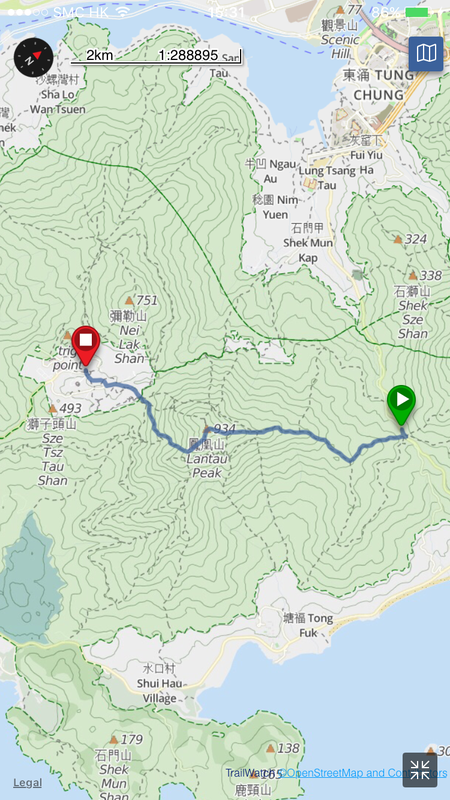 Feeling: Start at Pak Keung Kau which is about 300 meters high, keep climbing stairs over 600 meters to the top of the Lantau Peak. Lantau Peak is the second-highest summit in Hong Kong but it is not as physically demanding as going to Tai To Yan (566 meters high) which have many uphill and downhill sections.